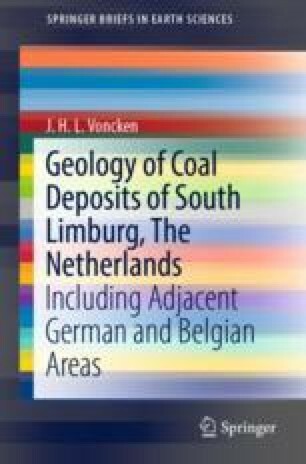 This chapter describes the geological evolution of the South Limburg Coal Mining area from the Carboniferous onwards until the present day. It discusses in detail the sediments deposited during different geological periods, and discusses also the local structural geological situation, which focuses on the Roer Valley Graben, with its still-active faults (Heerlerheide Fault, Feldbiss Fault, and Peelrand Fault Zone). In order to put everything into a larger perspective, the chapter zooms in from an overall picture of the development of the Southern North Sea Basin to the coal-mining area on the south side of the Roer Valley Graben.